Press Sample It's Christmas and I've been absent from this blog for 2 months. Due in part to having a web designer give it a complete overhaul, but mostly because this past semester of school has been a lot of hard work. But anyway, in honor of Christmas Day, I have one part of the China Glaze Twinkle Collection. It's described as a dark blue with iridescent shimmer and it reached the above opacity in 2 coats. 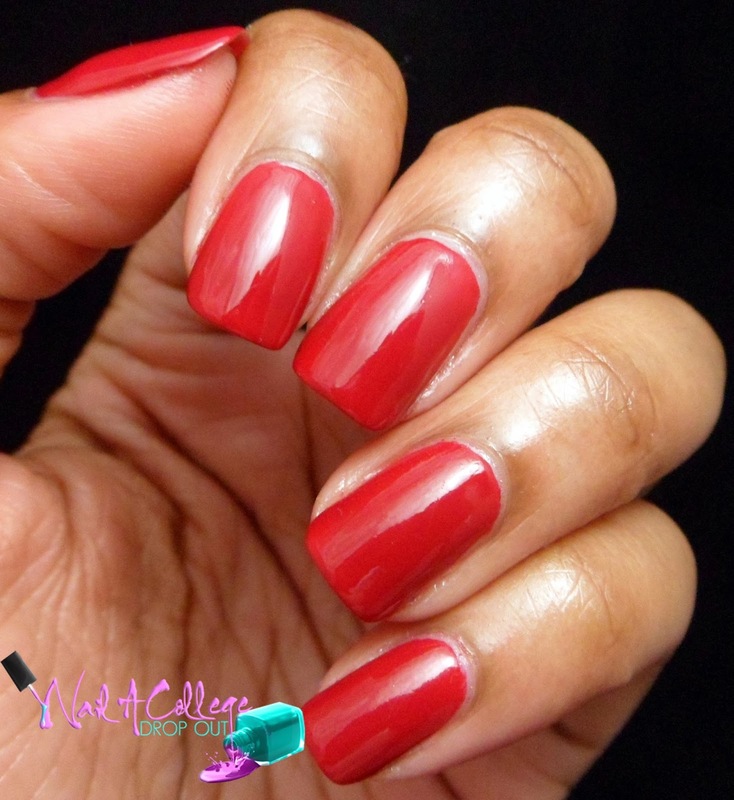 Define Good... is a deep cranberry shimmer with a smooth formula that is fully opaque in 2 coats. Admittedly this wasn't my favorite color from the group (y'all know I'm not a red fan) but the formula is on point with this shade. My camera had a problem capture the true hue of Tip Your Hat. In the above photo it almost looks like a bright cherry red, but in reality it falls somewhere between cranberry and brick red. I'm not a fan of red polishes but in this polishes' defense, it's a créme and it has a smooth formula that is opaque in 2 coats. Ah yes! Another créme with a A1, top notch formula! Out Like A Light is a dark gray créme that I reached full opacity in one coat. It was a little thick, but it very easy to work with. I like this shade, but I definitely don't think "dark gray créme" when I think Christmas nail polish. 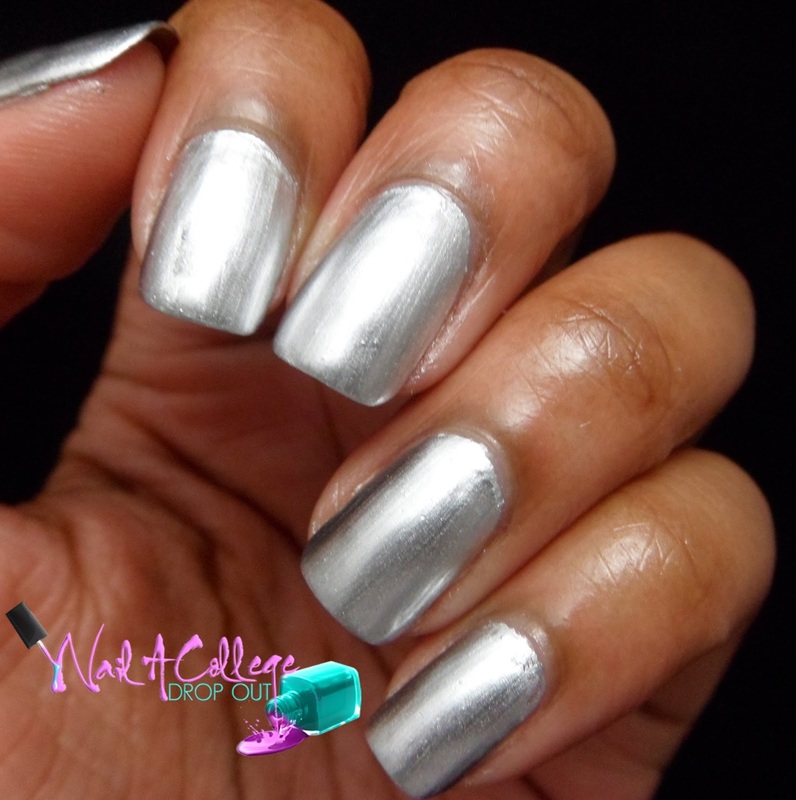 I'd Melt For You is a silver chrome shade that requires a bit of finessing in the application process. It was patchy in some spots on the first coat, some nails were fine after the second coat, but a few nails needed a third to level everything out. No Peeking is an eggplant shimmer that reaches full opacity in 2 coats. Not, my favorite color of the group, but it does have a redeeming formula. What are your picks from part 1 of this collection? Let's chat in the comments! Also, merry Christmas lovers!